Oz-Stravaganza! 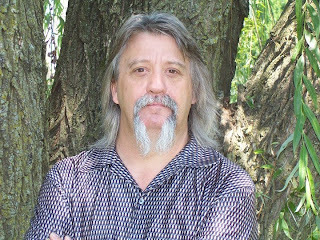 : James C. Wallace II Returns to Author's Alley! Royal Liaison to Princess Ozma Returns to Chittenango! James C. Wallace II Is returning to the Land of Oz- Chittenango, NY. An Oz author and so much more, James is the self proclaimed Royal Liaison to Princess Ozma, Sovereign Ruler of Oz. He endeavors to fulfill her royal command to tell the tale of her newest Royal Magician to the children of the Great Outside. His books include "Magician of Oz", Family of Oz", and "Shadow Demon of Oz", as well as a new work currently being finished. James was a part of the first Author's Alley in 2010. He will be returning to autograph copies of his books, and to unveil the new Oz/Wonderland crossover book co-written with fellow Oz-Stravaganza! Author's Alley guest- Ron Baxley, Jr.
Alice in Wonderland meets the Wizard of Oz? That is very cool. I wonder if L. Frank Baum ever contemplated the legacy that he was leaving the world.